Jacksonville, Fla. —QPWB Jacksonville office Partner Edward M. Booth, Jr., has been appointed to the Jacksonville Aviation Authority (JAA) Board of Directors by Jacksonville Mayor Alvin Brown and unanimously confirmed by the Jacksonville City Council by a vote of 16-0. His term began October 10, 2013 and ends September 30, 2015. The JAA, an independent political body authorized by the Florida Legislature, manages the four civilian airports in Jacksonville: Jacksonville International Airport, Jacksonville Executive at Craig Airport, Herlong Recreational Airport, and Cecil Airport. Booth is Board Certified in Aviation Law by The Florida Bar Board of Legal Education and Specialization since 1996. He has served as chair of the Florida Bar Aviation Law Certification Committee, Florida Bar Aviation Law Committee, and Florida Bar Grievance Committee, Fourth Judicial Circuit. He has also served as president of the Lawyer Pilots Bar Association from 2007-2008. 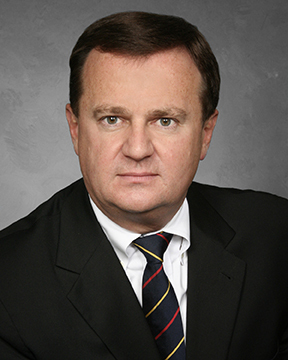 After serving as an Assistant State Attorney in Jacksonville from 1982-1985, Booth has practice commercial litigation in Florida. His practice includes aviation accidents and property damage claims related to aircraft operations, representation of airmen before the FAA, airport land use matters, representation of aircraft operators and owners, and representation of airports on various matters. His practice also includes handling claims involving personal injury, mass tort disasters, premises liability, construction defects, trucking accidents and contractual disputes. Booth has a bachelor’s degree from Emory University and a law degree from Florida State University College of Law. Quintairos, Prieto, Wood & Boyer, P.A. (QPWB) is a minority- and women-owned, full-service business law firm with more than 275 lawyers collaborating across major practice areas in 17 offices located throughout Florida; and Kentucky, in Louisville and Lexington; Chicago, Illinois; Phoenix, Arizona; Orange County, California; Las Vegas, Nevada, and the U.S. Virgin Islands. QPWB is among the nation’s largest law firms, providing comprehensive legal services to individuals and organizations of all sizes throughout the U.S. and the U.S. Virgin Islands.